Democrats have to deal with the fact that Hillary is gonna run for president in 2020. What will be interesting is how they're going to try and stop her. NY Post reports just as Democratic donors thought they’d finally put away wallets for Hillary Clinton, she’s coming back to NYC for a fund-raiser for her nonprofit — while also creating a party stink by throwing the bash at the exact same time as an event for DNC chairman Tom Perez. Clinton will be in town on April 30 for her “Onward Together” organization, to support young political leaders. 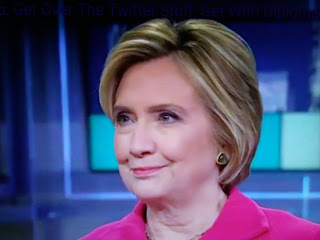 With great fanfare, Clinton announced in an email to her 2016 supporters that she is launching the Onward Together Leadership Council and that they could become charter members — in return for coughing up at least $10,000.